Blog - Page 2 of 11 - Bmore Creative, Inc.
My client wanted to integrate Event Espresso with ConstantContact. Unfortunately, Event Espresso did not already have an add-on that provided this integration — they do have one for MailChimp, if that helps you. Credit to the developers of the MailChimp add-on, because I referenced some of their code in creating the ConstantContact integration. Petfinder 3.3.0 introduced the Polaroid Effect option thanks to a recommendation from my good friend at GrimeyMedia. You can check it out on the demo page. Once the Polaroid Effect is enabled, a site administrator has the ability to set the maximum degree of rotation for each pet card. The range is between 1 and 10. For example, if the range is set to 5, the rotation of each pet card will be randomly assigned between -5 and 5 degrees. Recently, I’ve been working to remove jQuery dependencies on personal projects. I outlined some of that effort with the refactoring of my A-Z Directory module. But I turned my attention to my joomla.bmorecreativeinc.com site, which as you might have guessed, is a Joomla site which serves as my demonstration, documentation, and download repository for my three Joomla modules. I was using jQuery for some basic functionality, namely a scroll-to-top arrow in the site footer and a mobile navigation slideToggle animation. Consider this my first and only food-related post. 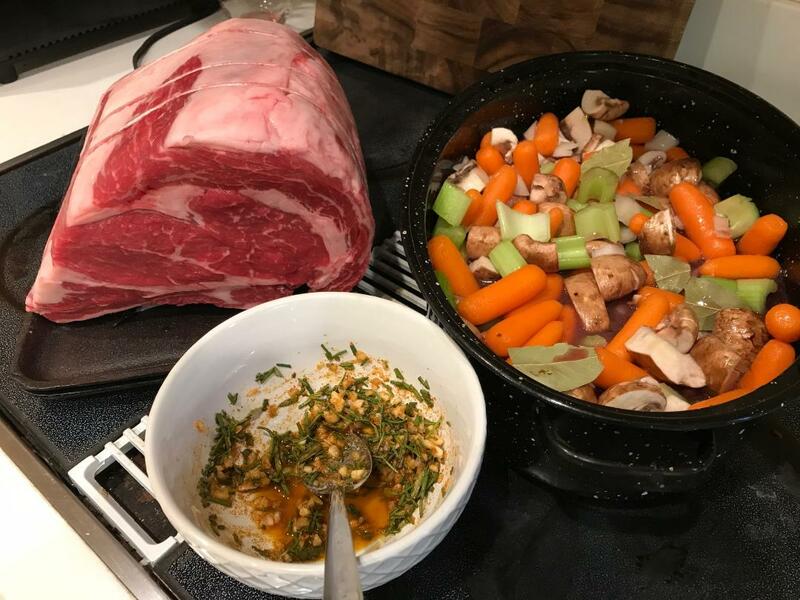 I am not a foodie, but I did use Anne Burrell’s recipe for standing rib roast and it was out of this world. What follows is Anne Burrell’s recipe with slight modifications based on my experience with it.